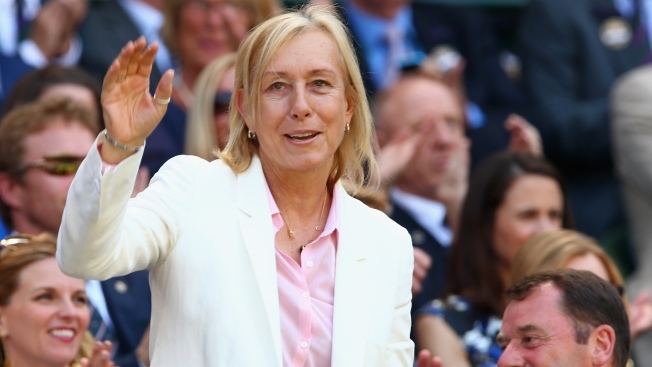 Tennis legend Martina Navratilova slammed the BBC as an "old boys' network" as she alleged that John McEnroe was paid at least 10 times more than she was for commenting at the Wimbledon tournament, NBC News reported. "It was a shock because John McEnroe makes at least 150,000 pounds — I get about 15,000 pounds for Wimbledon," Navratilova said according to an excerpt of an interview with the BBC's "Panorama" program set to air later Monday. "Unless John McEnroe's doing a whole bunch of stuff outside of Wimbledon, he's getting at least 10 times as much money, than I am, for very comparable work." McEnroe's 150,000-199,999 pound ($209,000-$279,000) pay for two weeks covering Wimbeldon was disclosed in July, when the BBC first published its list of top-paid on-air talent. But the BBC defended what it paid McEnroe, saying in an emailed statement that the commentators' work is "simply not comparable" and that Navratilova was on air 10 times for the BBC during last year's Wimbledon and that she was allowed to seek out paid appearances with other broadcasters in the country.